You will see the returns of your effort by sticking with the program for the long haul. If we want to see a change in our dog’s behavior we have to do the work, simple as that. I was forwarded an article which basically claimed that while positive reinforcement was a nice tool for training nice pups, it was not a strong enough or effective enough tool to deal with aggression or so-called 'red zone' dogs. It is time once and for all to put an end to this myth, especially when the arguments being used to support it are so painfully inaccurate and the supposed claims are so completely at odds with what behavioral science has already proven to us time and time again. Everyone knows I use positive reinforcement in my dog training. You’re probably sick of hearing me go on about it. But an issue that comes up more frequently than you might think is the idea of using positive reinforcement in the human side of dog training – and let’s be honest, the human aspect is the biggest part. The dogs are usually pretty easy – it’s the humans that need the most help! Victoria was featured on WGN Radio, where she discussed her new book, "Train Your Dog Positively," as well as why positive reinforcement training works for dogs of all breeds and even for the most serious behavioral issues. 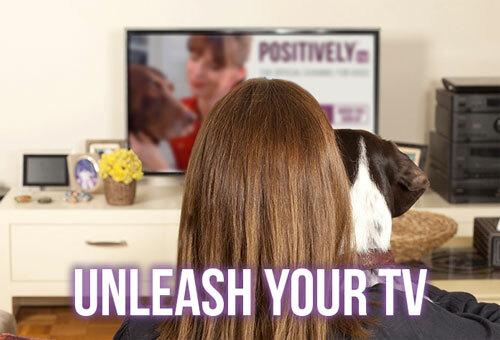 Victoria Stilwell joins New York's Live From the Couch to discuss special dog training tips from her new book Train Your Dog Positively and highlighted her success with using positive reinforcement to train dogs. 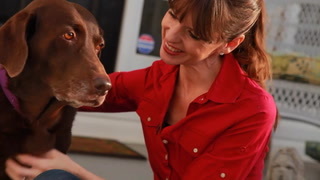 Victoria Stilwell joined CBS Atlanta to discuss her new book and how positive reinforcement training can work for all types of dogs and problems.